Available: Skilled Pet Sitter in Clearwater , 18 yrs Experience. 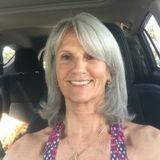 Want to connect with Beverly? Hello my name is Beverly. I am searching for a pet sitting professional work opportunity in Pinellas county Florida. I am committed to being a hard Working employee. My availability is flexible. I have excellent references , 61 yrs of age, a non smoker and non drinker and no . I am fit and healthy to take dogs on walks and take care of their needs. I have experience in administering medications to animals including insulin injections. I can take care of pet feeding, providing play time, and grooming. I am willing to travel. I have years of experience. Pet / Housesitter Available , Mature (61) Physically fit , non-smoker and non-drinker, very tidy reliable Woman. My name is Aryss and I am 13 years old. I will respect you and your pets. I will gladly pet sit any animal. I love animals more than anything and will be the best pet sitter you’ ever had!